If I ......... you, I wouldn't order this food. I stayed with my sister ... a few days. I missed the train, so I.......... take the next one. Would you like me to ............. the children next Monday? Maha can … the Guitar. I .....getting up early.I do it every day. Where was Mark yesterday? - I don't know. He ........... seeing the doctor. I ... for you all day yesterday. This is the ............ thing I have ever done. Yes, that is the woman.......... horse almost trampled her! My Dad was expecting me on Sunday, but.... I was arriving on Thursday. I ... you with those heavy bags. He wrote the article …… , he didn’t need anybody's help. .... go for a walk? I like ... early in summer. Wendy should spend ... time on the computer. Not mentioning anyone ….. , but who left the door open all night? I have never been...... in all my life! 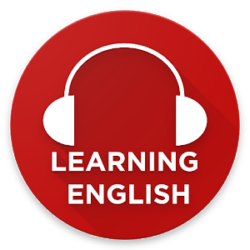 Read More: How to speak English like Native Speakers? This placement test consists of 36 questions.